With some of the greatest athletes in the world gathered together for Rio Olympics 2016, the city is on display. 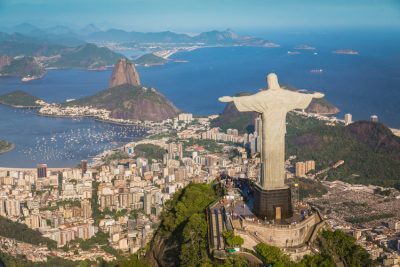 Frequently noted as one of the greatest cities in the world, Rio de Janeiro’s eating places are some of the best in the world, serving up all kinds of different Brazilian foods. 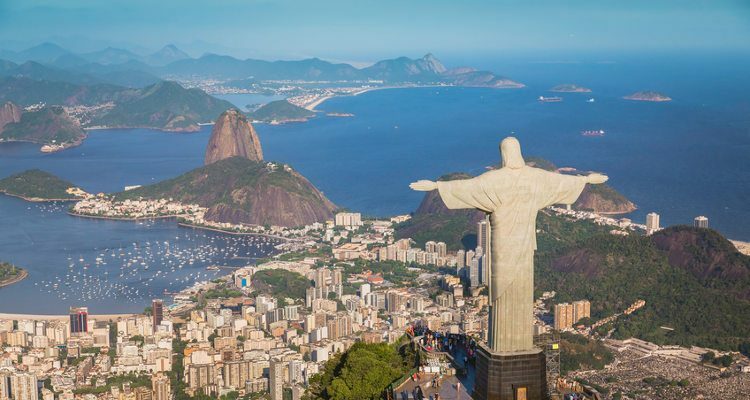 Although you might not get the best offerings at the Maracanã stadium food trucks, walk a short distance away from the Olympic Village and you can immerse yourself in local delicacies from restaurants and a strong food truck presence. Whether you’re looking for Rio de Janeiro restaurants or street food, the Brazilian seaside city’s got you covered. The huge city boasts tons of options and will make it difficult to leave any craving unsatisfied. If you’re craving porchetta, linguica, caldo de feijao, or other Rio de Janeiro traditional food, you’re likely only a short walk away from a restaurant, food stand or food truck that can fill you up. There are a few different styles of food stops in Rio in addition to food trucks and restaurants. You’ve got barzinhos de praia—beach bars where you can grab boiled sweet corn or a drink from a fresh coconut or even bostecos—little bars with a few stools where you can get empanadas, either baked or deep fried, with a variety of fillings. Chumasco Lanchonete: Rua do Rosano 142, Centro Rio. Offers cheap ‘help yourself’ food with over 50 dishes. It’s buffet style, so it’s sure to have something for everybody in your group. Casa da Feijoada: Rua Prudente de Morais 10, Ipanema (00 55 21 267 4994). Serving one of Rio de Janeiro’s traditional foods, feijoada, which is a bean stew. This is one of the best places to get it, and it’s in a trendy area of town, making it a great place to hit while in Rio. Porcao: Rua Barão da Torre 218, Ipanema (00 55 21 522 0999) | Avenida Armando Lombardi 591, Barra da Tijuca (00 55 21 493 3355). A churrascaria, or BBQ-style restaurant; countless cuts of meat and meat combinations are shaved off swords to fuel hungry patrons. Food Truck Mosteirinho: Av. Borges de Medeiros, 1424 Rio de Janeiro – RJ 22430-042. For beachside burgers and feijoada dumplings, check out this beach side stop that’s sure to be a hit during the Rio Olympics 2016. Dois Irmãos Sopas e Caldos: R. Nelson Mandela Rio de Janeiro – RJ 22250-040. Some say it has serves the best caldo de feijao in the city, which is a bean stew native to Brazil. Hit it on a Wednesday for the very best they have to offer, but you can go any day of the week. One of the biggest cities of the world has no shortage of food, whether it’s coming out of a bar, café, truck or restaurant. If you’re visiting Brazil for the Rio Olympics 2016, make sure to take advantage of the endless supply of delicious food! “Guide to Rio de Janeiro,” Conde Nast Traveller web site, http://www.cntraveller.com/guides/south-america/brazil/rio-de-janeiro/where-to-eat, last accessed August 9, 2016.